People typically ask two kinds of questions about conclaves: those that deal with the event in general and those that pertain to this one specifically -- who the leading candidates are, what the issues seem to be, and so on. We'll deal with the latter soon enough, but first, it's important to grasp how the behind-the-scenes politics work. Ideally, this exercise in "Conclave 101"will help make sense of what we'll be seeing and hearing between now and that magic moment when white smoke rises from a small chimney above the Sistine Chapel, proclaiming to the world that a new pope has been elected. Before we begin, let me say a word about the traditional Catholic conviction that a conclave unfolds under the guidance of the Holy Spirit. In 2005, this idea was summed up by Cardinal Ennio Antonelli of Florence, who said God already knew who the new pope was, so it was simply up to the cardinals to figure out what God had already decided. Some pious souls take that to mean that it's inappropriate, even borderline heretical, to suggest that politics are involved. Yet Catholic theology also holds that "grace builds on nature," meaning that the spiritual dimension of a papal election doesn't make it any less political. Anyway, one shouldn't exaggerate the role of divine inspiration. As one cardinal put it to me after the election of Benedict XVI, "I was never whapped on the head by the Holy Spirit. I had to make the best choice I could based on the information available." Perhaps the classic expression of this idea belongs to none other than the outgoing pope, Benedict XVI, who as Cardinal Joseph Ratzinger was asked on Bavarian television in 1997 if the Holy Spirit is responsible for who gets elected. I would not say so, in the sense that the Holy Spirit picks out the Pope. ... I would say that the Spirit does not exactly take control of the affair, but rather like a good educator, as it were, leaves us much space, much freedom, without entirely abandoning us. Thus the Spirit's role should be understood in a much more elastic sense, not that he dictates the candidate for whom one must vote. Probably the only assurance he offers is that the thing cannot be totally ruined. Famously, the term "conclave" comes from two Latin words meaning "with a key," referring to the fact that once the cardinals process into the Sistine Chapel and the phrase extra omnes has been intoned by the master of ceremonies, meaning "everybody out," the doors are locked and the voting begins. In their mind's eye, people often picture a highly charged political atmosphere behind those locked doors, with caucuses of cardinals hurriedly whispering in corners, desperately attempting to mobilize support for or against certain candidates. I had this image myself once upon a time, envisioning cigars being chomped and horses being traded. Then I interviewed Cardinal Franz König in Vienna in 2002, two years before his death. König had been part of the conclave of 1963 and the two of 1978, and I asked him about the "electricity" I imagined must be palpable inside the Sistine Chapel. "Actually, if you could watch what happens inside, you'd be bored to tears," König laughed. In truth, what goes on is more akin to a liturgy than a political convention. In each round of balloting, every one of the cardinals eligible to vote (117 this time) has to process to the altar beneath Michelangelo's fresco of the Last Judgment and place his ballot on a paten, then deposit it in a chalice (though last time, the Vatican used a specially designed urn). They vow they have voted for the candidate whom before God they believe should be elected, then return to their seats. The counting is an elaborate process involving three cardinals, and their work has to be checked by another three cardinals to ensure it's accurate. All told, one round of balloting can take an hour or more to complete, so that two ballots are, in effect, a morning's or afternoon's work. That's the reality inside the Sistine Chapel: There are long stretches of time spent in silence and in prayer, with no floor speeches, no dramatic moments when a kingmaker pops up and swings his support to another candidate, no concessions and no victory laps. Cardinal William Keeler of Baltimore explained what some cardinals do to fill the time in an interview following the election of Benedict XVI: "One cardinal told me [that] while he was listening to the votes being counted, he said three rosaries," Keeler said. "And another said, 'Well, I said two,' and so, a third said, 'Well, I prayed mine with greater piety, and it was just one.' "
As a result, the politics don't really unfold inside the conclave itself. They start well before the conclave begins -- in fact, they're going on right now. Things will really heat up beginning March 1 as cardinals converge on Rome and begin the consultations, both formal and informal, that will shape the balloting set to begin somewhere between March 15 and March 20. So, where is the action? Four venues are especially crucial. One critically important arena to win friends and influence people is the General Congregation meetings that take place among all the cardinals (including not just the electors but those over 80, too), with the first one usually coming a day or so after the beginning of the sede vacante, or interregnum. Last time there were 13 General Congregation meetings before the conclave, held in the Vatican's Synod Hall. In part, these meetings are devoted to a line-by-line examination of the conclave rules in excruciating detail, but they also provide a forum for a more wide-open discussion of the issues facing the church. Some cardinals came out of these meetings last time grumbling that the atmosphere was too much like a Synod of Bishops, with long-winded speeches and little opportunity for real interaction. Several mentioned it was especially difficult to keep the over-80 cardinals, of whom there were between 50 and 60 in the room, to stick to the seven-minute time limit. Nonetheless, most participants also acknowledged that the way then-Cardinal Joseph Ratzinger chaired these sessions in his role as dean of the College of Cardinals was crucial in paving the way for his election as Benedict XVI. Ratzinger, the cardinals said later, knew everyone, spoke to them in their own language, and treated their opinions with respect. In general, his performance helped solidify impressions among many cardinals that his media profile as "God's Rottweiler" was more myth than reality. This time around, the dean is Italian Cardinal Angelo Sodano, who's already over 80 and won't be in the conclave, so the General Congregations offer a chance for someone else to steal the show. If you hear cardinals talking about an especially impressive speech someone gave or the way a particular cardinal seemed able to broker consensus, that's something well worth flagging. In 2005, the cardinals used one of those General Congregation meetings to agree among themselves not to talk to the press from April 8, the date of John Paul II's funeral Mass, through April 18, the opening day of the conclave. It's not yet clear if there will be a similar gentlemen's agreement this time, but in any event, it's not yet in force, and plenty of cardinals have been talking in general terms about the challenges facing the church and the kind of man who may be needed to face them. Other cardinals are reading these interviews, and collectively they help shape the psychology of the voters. Italian Cardinal Giovanni Lajolo told a reporter he wouldn't vote for a career diplomat like himself because the church needs "a pastor of souls." In an interview with a German paper, Cardinal Joachim Meisner of Cologne, Germany, sketched a picture of a pope who would be a mix of John Paul II and Benedict XVI, blending John Paul's popular touch and Benedict's culture. Meisner also added the revelation that in 2009, a group of cardinals tried to get Benedict to dump his Secretary of State, Cardinal Tarcisio Bertone, over perceptions of incompetence -- probably not a big help to Bertone's electoral chances. The media also play a role by the way various cardinals are depicted, including rumors that sometimes seem strategically calculated to either enhance or retard a particular candidate's chances. Sometimes, in other words, papal politics turn nasty. Reports that Cardinal Ivan Dias of Mumbai has diabetes, a sign of ill health. In addition, an email campaign allegedly initiated by members of his own flock in India made the rounds, including complaints of an "unapproachable, stubborn and arrogant style." Reports about a book in Argentina, given wide attention in the Spanish-language media, alleging that Cardinal Jorge Mario Bergoglio had been unacceptably close to the military junta in the 1970s, even that he was complicit in the persecution of two liberal Argentinian Jesuits, something his defenders stoutly denied. Another email campaign, this one claiming to originate with fellow Jesuits who knew Bergoglio back when he was the provincial of the order in Argentina, claimed "he never smiled." Reports surfaced alleging that both Ratzinger and Sodano, considered by some to be leading candidates, were in poor health, raising questions about their physical capacity to be pope. No one really had the time to trace down all these rumors, and in a sense, that was the point. The hope was that the mere fact that negative things were being said would be enough to derail a particular candidacy. In that sense, a conclave is more analogous to British rather than American politics -- the race lasts only a couple of weeks instead of years. In the American cycle, there's time to sort out whether rumors about George W. Bush's National Guard service or Barack Obama's birth certificate are authentic or not; in the frenzy of an abbreviated papal campaign, there's just no time to do that kind of legwork. It should be emphasized that these smear campaigns almost always originate outside the College of Cardinals and that there is generally a very genteel, respectful tone to the discussions among the cardinals themselves. A safe rule of thumb about such reports is to assume they're false until proof to the contrary emerges, though that's not always easy in the hothouse atmosphere of the pre-conclave period. People launch these rumors for the same reason secular political advisers craft attack ads -- because like it or not, sometimes negative campaigning works. Cardinals do not rely exclusively on impressions formed during the General Congregation meetings or from the press to shape their attitudes. Informal meetings also take place around the edges, among cardinals who have been friends over long stretches of time or who share a similar sense of where the church ought to go or who speak the same language (in this case, literally rather than metaphorically; that is, English-speakers often come together with one another, Spanish-speakers meet among themselves, and so on). In the initial stages, the most important gatherings tended to take place by language group. One such get-together in April 2005, for example, took place at the end of the first week of the interregnum at the Venerable English College on Via Monserrato, just off Rome's Piazza Farnese, home to seminarians from Great Britain as well as handful of other clergy connected in one way or another to the United Kingdom. The session was hosted by Cardinal Cormac Murphy-O'Connor, at the time still archbishop of Westminster, who emerged as a key point of reference for the English-speaking cardinals in the run-up to the conclave. In such environments, away from prying eyes and ears, cardinals were able to chat freely about various candidates and to get a sense of what other cardinals were thinking. As one cardinal put it, "Some were rather uncomfortable with the free-flowing nature of these conversations, but that's what you have to do if you're going to get anywhere." In the old days, cardinals actually slept inside the Vatican's Apostolic Palace during the days of the conclave, sometimes on cots in spots normally used as offices or storerooms, in order to insulate them from the outside world. It wasn't always pleasant; König described the indignity of forcing elderly men to make their way in the dark down confusing corridors in search of a bathroom, saying that sometimes you could actually hear their groans echo. 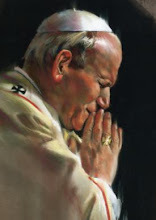 John Paul II changed all that by decreeing that the cardinals would instead stay in the Casa Santa Marta, the $20 million hotel on Vatican grounds ordinarily used to house various visitors who have business in the Holy See. Located near the Paul VI audience hall, across from the entrance to the excavations underneath St. Peter's Basilica, the facility features 108 guest suites, each with a living room and a bedroom, and 23 single rooms, all with private baths. It also has a chapel, a modern wood-and-glass design with enough room for a little more than 100 people, just enough to accommodate all the cardinals. Last time, some cardinals walked back and forth from the Casa Santa Marta to the Sistine Chapel while others took minivans made available to them. Either way, Vatican security forces are supposed to ensure no one approaches the cardinals in order to short-circuit any effort to influence their votes. Although the Santa Marta has Wi-Fi and all the other modern conveniences, cardinals are not permitted to use any means of communication with the outside world. In 2005, the cardinals decided to move into the Santa Marta early. They gathered on Sunday night ahead of the opening of the conclave the next morning. Several cardinals said they felt the need for a "jump start" since the behind-the-scenes conversations up to that point had been scattered and not everyone had been involved. After the fact, several cardinals said that brief period in the Santa Marta before things got started played an important role in allowing the pro-Ratzinger coalition to set the tone for the conclave. By all accounts, Cardinal Christoph Schönborn of Vienna was among the "king-makers." "When you talked to other cardinals about Ratzinger, most of them would say, yes, he's a good candidate, but there's also this man or that man," one cardinal recalled. "Not Schönborn. For him, it was God's will that Ratzinger be pope, and that was it." Privately, some cardinals are already saying they should head into the Santa Marta even earlier this time, in order to give the group a better chance to get organized. That may have some traction, given that there are plenty of voters whose memories of 2005 are still fresh. Last time, there were only two cardinals inside the conclave who had ever been through the experience before: Ratzinger and American Cardinal William Baum. This time, 50 of the 117 electors are conclave veterans. (Actually, there are 51 veterans. Although Donald Wuerl of Washington, D.C., was only made a cardinal in 2010, he was inside the 1978 conclave that elected John Paul II. Once the conclave begins, the Santa Marta becomes even more important because it's the only place they can have extended conversations with one another outside the quasi-liturgical rhythms of the Sistine Chapel. Cardinals gather over breakfast, lunch and dinner for as long as the conclave wears on, making the Santa Marta the critical venue in which potential gridlocks are addressed and a final consensus begins to emerge.